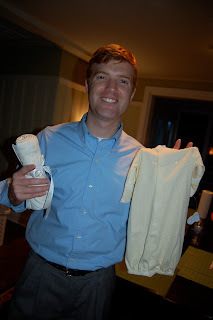 For This Child I Prayed: Us with our first baby items! These pictures were taken of us probably about a week after we found out we were expecting! My sweet Memama sent us a precious little sleeper and matching receiving blanket. 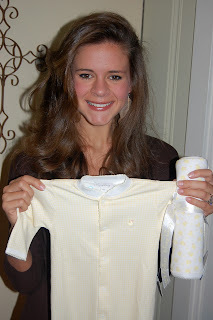 It was so exciting to get our first baby items!